What is a 16 Channel DVR Recorder? A 16 Channel DVR System works with analog cameras to deliver a clear picture and many more features enhancing your security system. With 16 channels you can watch up to 16 video feeds at a time. Easy to install, running on coaxial cable, they are also easy to use. They work by compressing the received video files by H.265 standards and record the resulting, smaller file, to your hard drive. 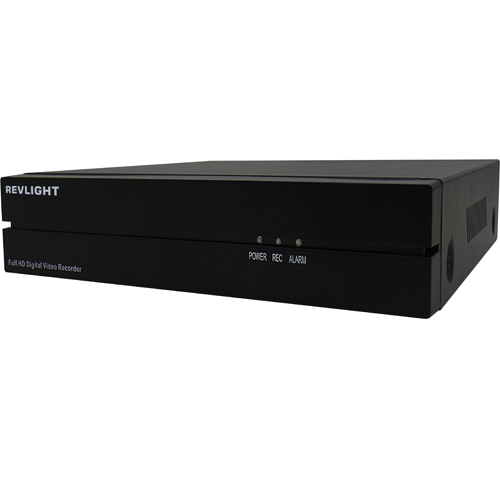 Our 16 Channel DVR System when paired with our DVR viewer app, enables you to watch past videos, set alerts, and moreover your android or I Phone. Contact Our Revlight Security Team! Have questions about our DVRs? Call the Revlight Security CCTV Team experts today for a free consultation at +65 6678-6557. Using a 16 Channel DVR System can save you money. Installation is normally one of the larger costs, but if you are upgrading a current system, you can save money and time on the wiring as they can run on existing coaxial cables. Using a DVR also reduces the potential for interference and has high-transmission reliability.